Looking for a florist in Pretoria? Look no further! With inMotion Flowers you can send quality fresh flowers virtually anywhere in Pretoria with our reliable same day flower delivery service. Surprise a family member, friend or loved one with a beautiful bouquet of flowers on their Birthday, Valentine’s Day or Christmas... or send mom flowers for Mothers Day. Our network of local florists in Pretoria cover the whole of the PTA CBD and surrounding areas in Gauteng, so your flowers can be delivered the same day and are guaranteed to be fresh. We pride ourselves on our personalized customer service, and we go to great lengths to ensure you receive the highest level of quality and reliability at an affordable price. To browse our entire flower collection, click on the Buy Flowers banner above, or select bouquets, flower arrangements, baskets, funeral flowers, plants or flowers for a new baby from the Flowers dropdown menu. Alternatively, consider creating your own floral gift using our unique custom flower app. If you’d prefer to send a hamper or gift, we’ve got delicious food hampers, chocolate hampers, fruit and nut hampers, and you can even build your own custom hamper. Or perhaps you’d like to send a bath and body gift, perfume or jewellery. Simply click on the banner above to browse our entire range of gifts, or choose a category from the Gifts & Hampers dropdown menu. If you need to send flowers, hampers or gifts to Pretoria for a specific occasion, click on the Occasions banner above, or navigate to our Anniversary, Birthday, Sympathy, Mothers Day, Valentines Day, Fathers Day or Christmas categories in the Occasions dropdown menu. Or, select one of our featured products below. 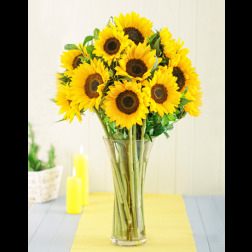 We offer same day delivery in Pretoria and most towns and cities in South Africa for flower orders placed before 12:00pm. Orders placed after 12:00 can be delivered the next day. Our gifts and hampers are available for next day delivery in Pretoria and throughout South Africa if we receive your order before 12:00pm. If it’s urgent, we do however have a very limited selection of our most popular gifts and hampers that are available for same day delivery in Pretoria. 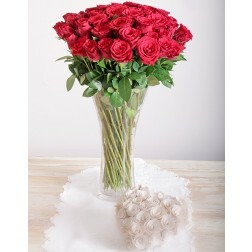 Gifts and hampers will be delivered separately if ordered together with flowers, as they get sent by courier. We have an extensive network of local florists in Pretoria, Gauteng and throughout South Africa. I just wanted to say a huge THANK YOU for making ordering a gift from overseas so pain-free and simple. My mum in Hillcrest was ecstatic with her birthday flower arrangement and champagne. And a week later the lily bouquet is still so alive and happy! I highly recommend your service and will most certainly be using you again!